Check out R&B Artist "ML the Truth" This Silky Smooth crooner from Jackson, Mississippi started out writing hooks for local underground Hip Hop artist. ML sang background on a track with the Rap Icon "Too Short" and rapper Malone. Producers started contacting him about lacing their tracks with his voice for their artist. A Program Director suggested that he start singing his own songs and producing himself as an artist. The rest is history...scratch that… the rest is the future. ML currently has "Love Games" and the emotionally charged mixture of self realization "Missing You" spinning. ML is a community minded individual that annually supports the Toys for Tots drive sponsored by WJMI FM 99.7. ML co-sponsored a fundraiser for Catholic Charities to raise money for the Safe Place Run Away Teen Center. As an Artist: ML won R&B singer Monica's National 'Here I Am' Talent Search 2010 sponsored by Coca Cola & Our Stage. Monica hand picked his song “First Time” from over 600 entrants. He was chosen Jackson Free Press "Person of the Day" in July 2010. ML is the September 2010 Cellular South's Listener's Choice Award Winner for his song "Missing You" . ML was the 3rd Place Finalist in the Trey Songz “My Formula - My Chance” Talent Search Series Competition - September 2009 sponsored by Coca Cola and Our Stage. Primestone Media awarded ML the 2007 Best Movie Sound Track Theme Song award for the Mississippi Independent film "Ready For Love." As a Producer: ML produced two winning songs that secured R&B artist Lou Writer the 2010 106 & Park WOW Male R&B Category Championship. 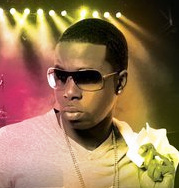 "Aftermath" produced by ML was BET's most downloaded ringtone as of July 2010. ML's dream is to one day score a Movie sound track. ML has opened for or performed with Monica, Trey Songz, the legendary Lenny Williams, Crooner, Urban Mystic, LeToya (Formerly of Destiny's Child), Grammy Award nominated Anthony Hamilton, Avant, the Bronner Brothers hair show in Atlanta, GA, L J, Ace of Public Announcement, Day 26, Cupid, Ruebin Studdard, David Banner, Gucci Man, Billy Cook, Lil Scrappy, Rick Ross, Ciara, Smoke, Travis Porter, Glen Jones, Dallas, Doe Hicks, Trina, Lil Boosie, Cupid, Recognition, Compositionz, Uncle Luke, Roscoe Dash, Silk, Wacka Flocka, 2, Jeezy, Dru Hill, Creative Funk, Plies and Kem (Kemistry). ML has song the National Anthem twice for the South Eastern Regional Battle of the Bands and The Mississippi Braves Minor league baseball team. For Booking Information Call: 601-500-0843 Web: www.mlthetruth.ning.com or www.myspace.com/ml Email: mailto:chillfactor1906@gmail.com Twitter: http://www.twitter.com/mlthetruth IG: http://www.instagram.com/mlthetruth Reverbnation: http://www.reverbnation.com/ml601 Facebook: http://www.facebook.com/ml100drums OurStage: http://www.ourstage.com/profile/mlthetruth ML’s indie released album “The Truth” hits your IPOD and downloads to your heart 2010.